But how much do you know about this founding father of European neoclassical dance? Here are five nuggets of knowledge to show off to your fellow dance fans with. The seeds of his illustrious career were sown at a young age – when he was a boy he’d perform to radio broadcasts when no one was home, and peer into the windows of theatre studios to get closer to the world he loved. Then at just age 13 he began to work for a theatre make up artist. Dance may have been van Manen’s first love, but it is not his only passion. For years, he has also been a well-respected photographer, influenced by American photographer Robert Mapplethorpe, his work has been exhibited internationally. Despite creating more than 150 ballets, which are performed by over 50 companies across the world, van Manen has never attempted a full-length ballet. His nickname is the Mondriaan of Dance (after the Dutch painter). He appears to have earned this moniker thanks to the refined simplicity and clear structure of his works. 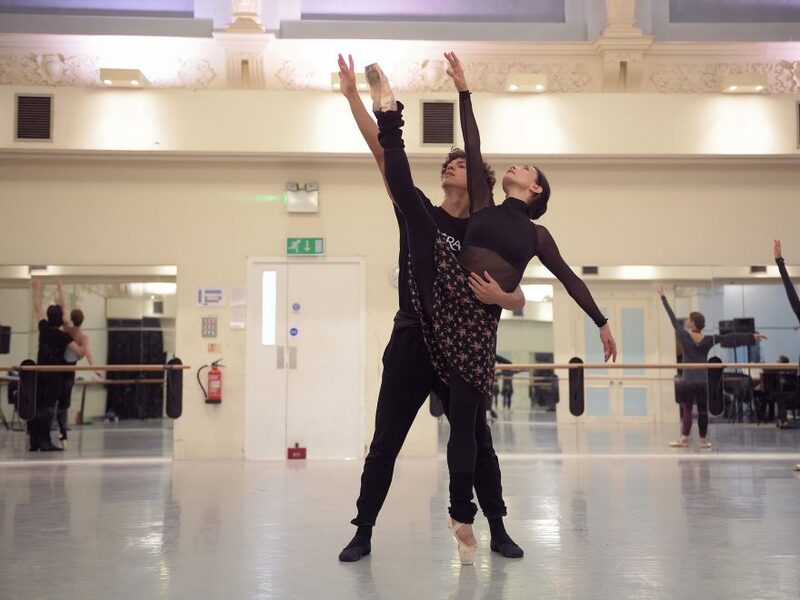 He’s also been called ‘the Versace of ballet’, but we can’t help you there. Van Manen has had an entire festival staged in his honour. In 2007, the Dutch National Ballet in Amsterdam held The Hans van Manen Festival to celebrate his 75th birthday. It was held at the Het Muziektheater and featured guest artists from the Kirov Ballet and Nederlands Dans Theater. Van Manen turns 85 this year… that’s a tough act to follow! At Sadler’s Wells, we’ll be performing van Manen’s Adagio Hammerklavier, set to Beethoven’s reflective (and famously technically challenging) Sonata No 29, Op 106. Created in 1973, it is often considered his masterpiece, rich in exquisite details, full of wit and moments of intensity. Come and see why 44 years later, it remains “a masterclass in tension and structure” (Financial Times). We perform Adagio Hammerklavier as part of our Bausch / Forsythe / van Manen triple bill at Sadler’s Wells on 23 March – 1 April. Including Emerging Dancer 2017 plus exclusive rehearsal events for our Supporters.